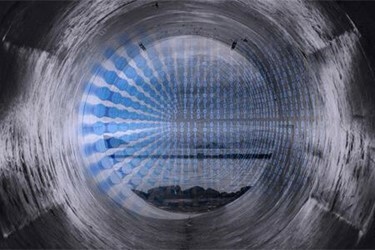 2017 was a transformative year for the smart wastewater sector with major industry advancements such as new ways to detect and prevent combined sewer overflows (CSOs), the advent of a smart wastewater pumping system, and the emergence of innovative business models such as data-as-a-service — all bound to gain more traction in 2018. Wastewater utilities are increasingly implementing technologies to ensure compliance and addressing such challenges as inflow and infiltration (I&I) and combined sewage overflows (CSOs). During rain events, stormwater overwhelms the capacity of a combined sewer systems resulting in harmful overflow events. Companies such as SmartCover Systems and ADS provide solutions to detect and reduce overflows by utilising real-time flow and weather data, and similarly Eastech uses sensors for micro I&I detection. Data-driven solutions to address CSOs will remain a priority for utilities in 2018, as these approaches are proven to be more effective and efficient. Employing EmNet’s real-time control solution, the City of South Bend, IN, was able to effectively leverage data analytics to automatically control valves and optimise their wastewater system. EmNet’s system intelligently and dynamically adapts to changing storm conditions to maximise storage and conveyance. This enabled South Bend to reduce overflow events from a yearly average of 27 to only 1. Digital solutions can also be used to evaluate and finance infrastructure initiatives to reduce CSOs. In 2017, DC Water introduced Xylem’s smart wastewater pump system. This interconnected system is expected to produce energy savings of up to 70 percent compared to a conventional pumping system and reduce inventory by up to 80% due to flexible performance. Emerging business models in the smart wastewater market also promise to create new partnerships and initiatives between technology providers and utilities.